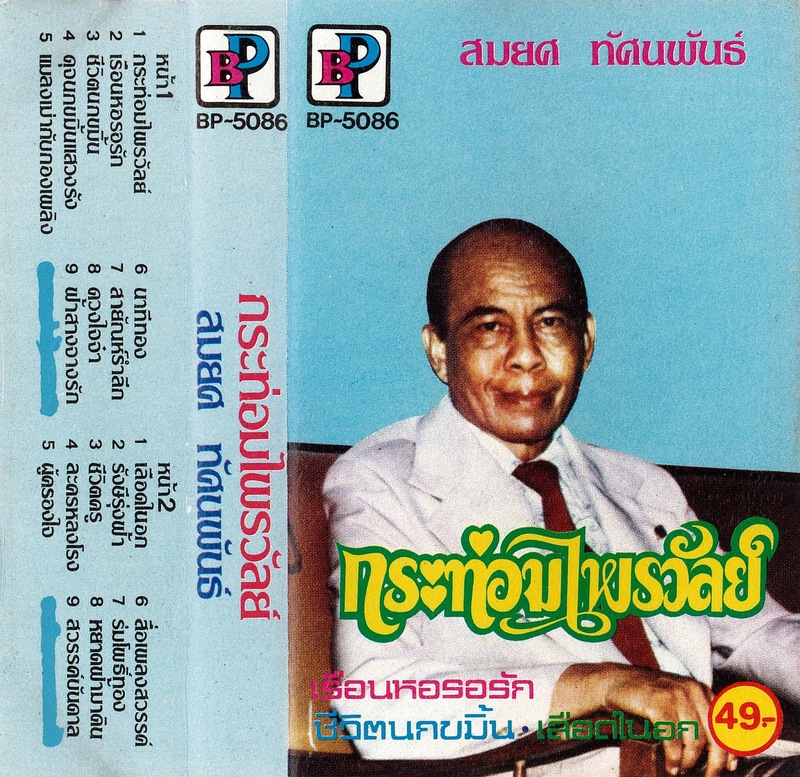 this week, some very early thai pop music, from mr. somyot thatsanaphan! mr. somyot was born in bangkok's chinatown, raised in an engineer's shop by his father and stepmother, and attended temple schools for his early years. as a teenager, he played music with friends at a number of temple fairs, winning much local acclaim. eventually, his noisy rehearsals got him kicked out of the house, and he went to live with his musician friends, supporting himself as a poster artist in between singing gigs. eventually, after hearing that kong duriyang thahan ruea (the famous thai navy band) was auditioning singers, somyot applied and was accepted. in 1945 he cut his first records with the group, writing most tunes himself or in close collaboration. 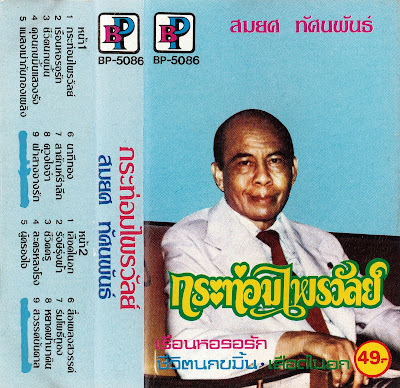 the songs collected on this record date from the mid 50s, when the city/country (luk krung/luk thung) divide in thai popular music was beginning to coalesce, and despite his urban origins, somyot would land in the latter camp, with his lyrics frequently extolling the virtues of rural life. somyot continued to perform as a singer, songwriter and bandleader into his final decade, passing away in 1986 at the age of 71.